It’s getting harder to interpret genetics studies, and that’s a good thing. Reporting the results of published studies concerned with genetic risk factors has always been a tricky proposition. Beyond the inevitable, and too often ideological nature/nurture split, there has been an unfortunate history of false positives in the rush to make news with a “gene for” alcoholism or schizophrenia or belief in God. But single gene theories are mostly a thing of the past, and results tend to be broader and more tentative, as befits the state of our knowledge about genes and risk in a post-epigenetic landscape. Nonetheless, there’s no denying that genes play a strong role in all kinds of behaviors and processes. A large group of U.S. tobacco researchers went looking for associations between genetic risk factors and the ability to stop smoking successfully, and published their results in the American Journal of Psychiatry. The group came down strongly in favor of the proposition that genetic variations in the chromosome 15q25 region help dictate who manages to quit smoking and who does not. The genetic variants in question are for nicotine receptors, and are called CHRNA5-CHRNA3-CHRNB4. They compose a “high-risk haplotype” that Li-Shiun Chen and coworkers believe to be involved in the ability to quit. (A haplotype is a combination of DNA sequences on a chromosome that are transmitted as a unit). People with these genetic variants “quit later than those at low genetic risk; this difference was manifested as a 2-year delay in median quit age.” However, this association tended to wash out at very high levels of smoking. 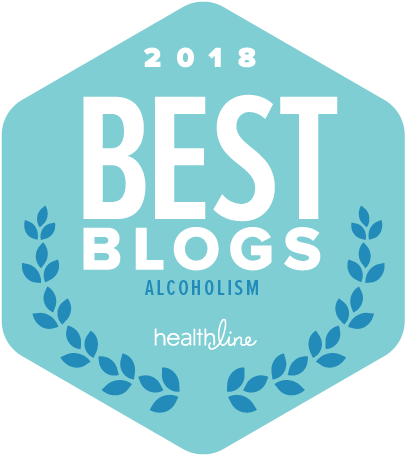 Nonetheless, “pharmacological cessation treatment significantly increased the likelihood of abstinence in individuals with the high-risk haplotype,” compared to the low-risk group. The suspicious haplotypes did not reliably predict tobacco abstinence across all groups that were studied. And any pharmacological treatment at all vastly increases abstinence rates, compared to placebo, while those who smoke the fewest cigarettes per day have the best shot at abstinence no matter what. In one sense, all the study is saying is that anti-craving drugs are more likely to be effective in smokers “who are biologically predisposed to have difficulty quitting.” Other smokers may not need them at all as a quitting aid—which is very much as common sense would have it. But further research in this area may allow medical workers to genetically identify smokers who will definitely require a pharmacological booster shot to overcome their crippling addiction. 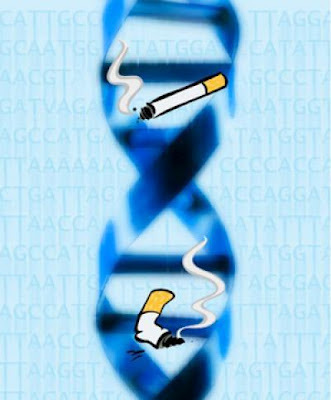 In brief, the study says that success in quitting may be directly modulated by certain types of genetic variation among smokers. And genetic variations influencing quitting success may be different from gene variants controlling for “severity of nicotine dependence” (how many cigarettes you smoke), and whether you get addicted in the first place. It is all very complicated. But it’s the sort of thing that gives researchers hope when they contemplate deploying forms of personalized medicine in addiction treatment. Study limitations abound. The work looked at only one genetic locus, while the success of smoking cessation might depend on multiple gene sites. The placebo arm was relatively small, and the smoking reports were obtained through a combination of biochemical confirmation and self-reporting. Just finished your incredible book. Adding you to my bloglist as well. Thank you. I appreciate the kind remarks, thanks!